Our Families have United to help bring more visibility to Anti-Bullying and Suicide Prevention. 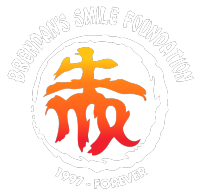 The Mission of Brendan’s Smile Foundation is to empower institutions to protect and treat students with mental illness by raising awareness and prevention through education, public policy and legislation all while improving crisis services and advancing suicide prevention by empowering individuals, advancing professional best practices, building awareness and offering in-depth outreach education. Any Parent or Guardian who has lost a young adult to mental health struggles has asked themselves day and night what they could have different to keep their young loved-one alive? The honest answer is most will never know what could have been done differently to save their loved one’s life. However, family survivors of youth deaths from mental health issues all recognize there is a lack of understanding from the general public of what to do when your instincts suggest that a young adult who otherwise seems normal displays behavior that may suggest mental health struggles. Grass Roots PSA Campaign- Provides Education and Procedures for use in the event of a mental health / self-harming crisis.